dispute was the cause of murder, while the Taliban declared that they had killed him. Khan was fatally shot with AK47 Kalashnikov rifles on the night of October 12, 2017 by unidentified men on a motorcycle as he was walking home. A criminal complaint filed by his brother Manzoor Khan, blamed his step brother Mohammed Ali and Ali’s two sons as being responsible for his murder because of a property dispute. The area’s District Police Officer (DPO) Muhammad Sohaib, confirmed that Haroon was embroiled in a land dispute with his stepbrother in which the court had given a verdict in favour of Haroon. Shoaib added that the official demarcation by the revenue staff of the property was scheduled October 13. A few days before his murder Khan had sought the help of police to resolve the matter peacefully. 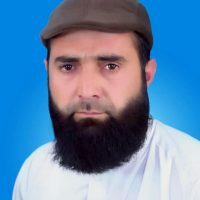 However, in a statement of on October 13 Muhammad Khurasani introducing himself as the spokesman for the Tehreek-e-Taliban Pakistan (TTP), claimed responsibility for the journalist’s murder and added that Khan was killed as he was suspected of spying on the Taliban for Pakistan’s security and intelligence agencies. He warned the media to not to side with the government and security forces or they would face a similar fate. The journalist community from across Khyber Pakhtunkhwa and adjoining tribal areas condemned the killing and demanded action. Journalists and other media workers staged a demonstration in front of Peshawar Press Club following the call by the Khyber Union of Journalists.